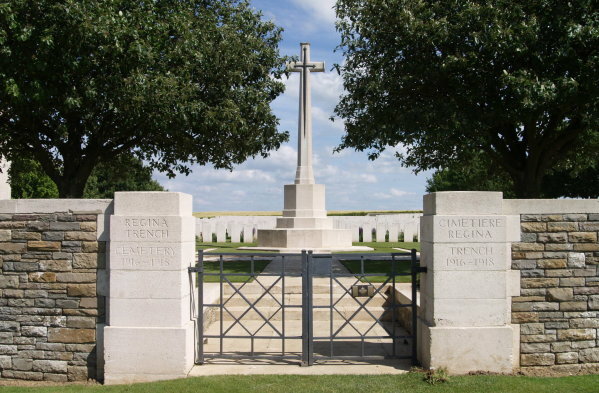 Although Regina Trench Cemetery is in the commune of Grandcourt, it is not possible to gain access to the cemetery from Grandcourt. 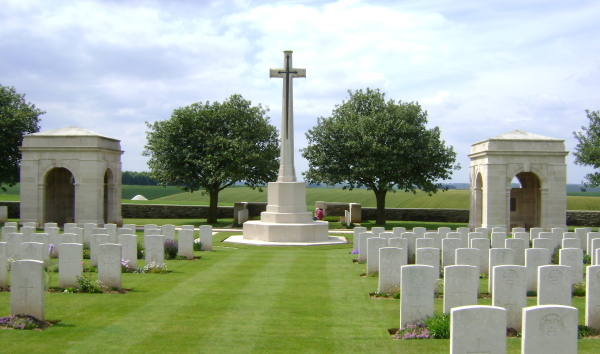 Visitors should approach the cemetery from the direction of Courcelette, which is a village about 8 kilometres north-east of Albert (next to the main road D929 Albert-Bapaume). 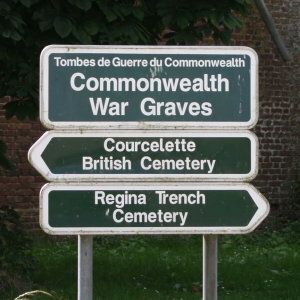 The cemetery lies about 1.5 kilometres north-west of the village of Courcelette (signposted in the centre of Courcelette) and will be found 1.5 kilometres down a single track lane (not suitable for cars). 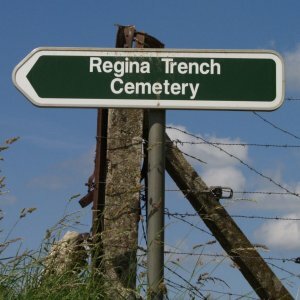 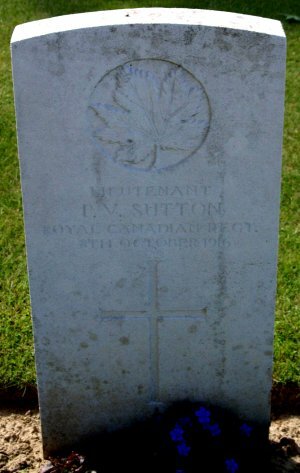 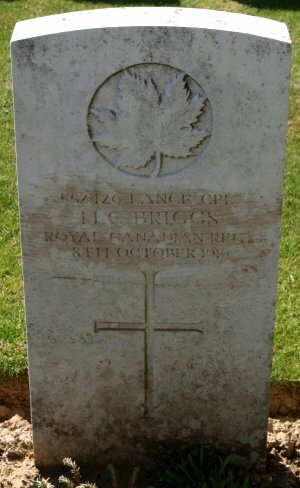 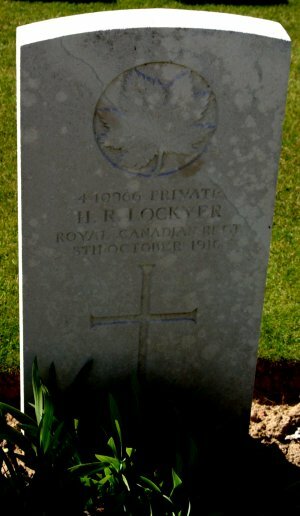 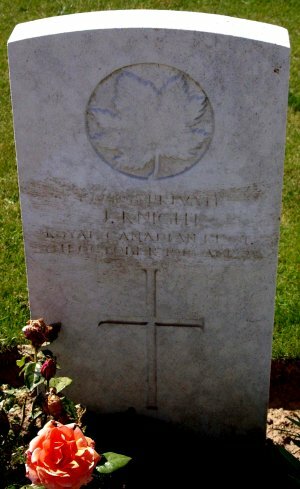 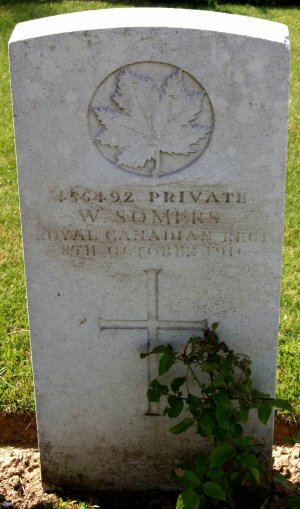 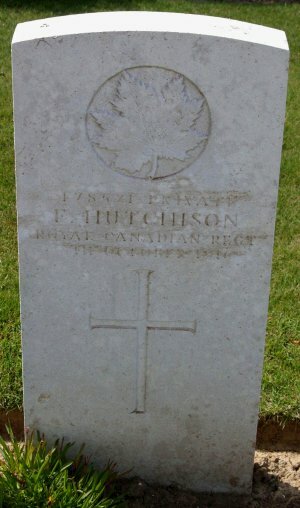 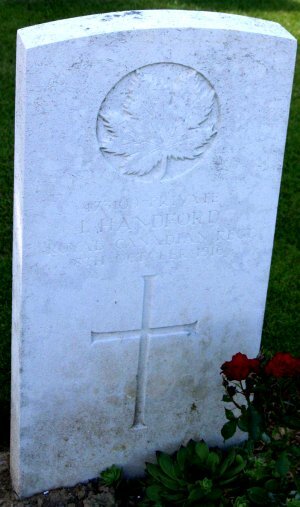 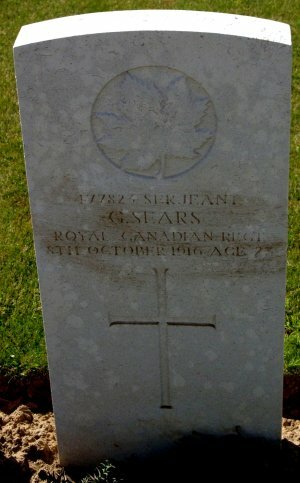 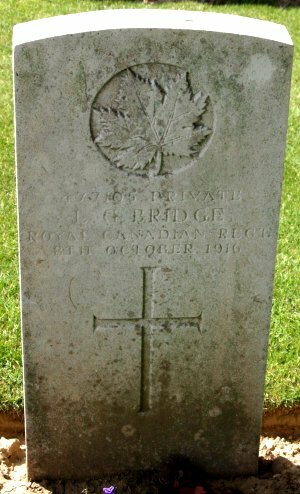 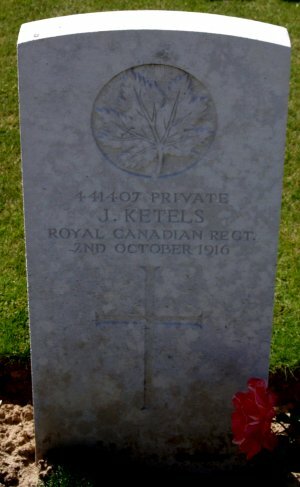 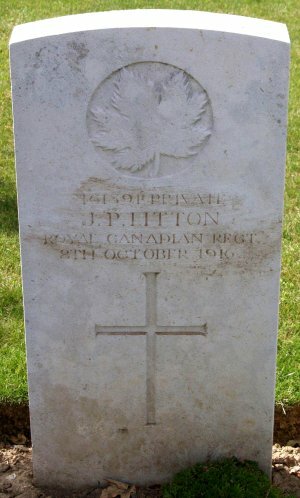 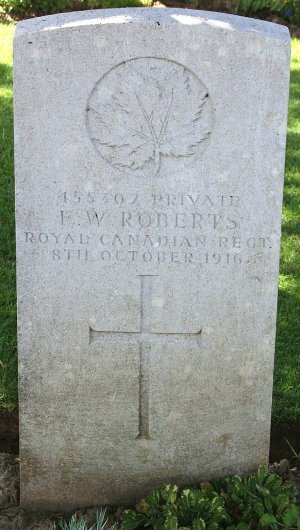 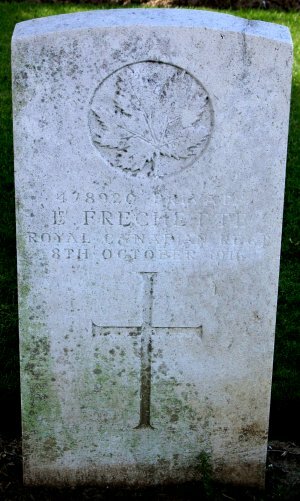 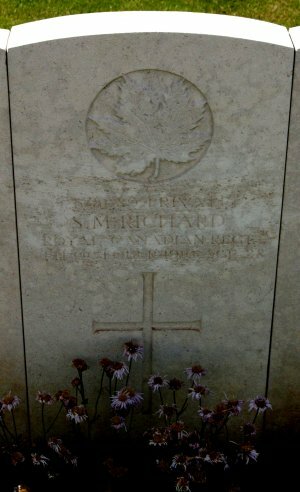 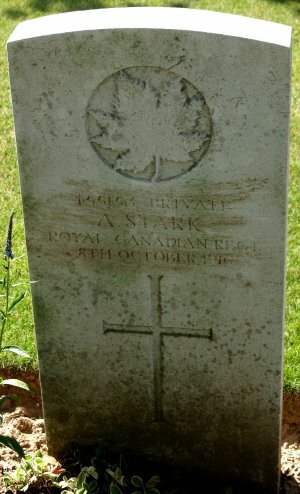 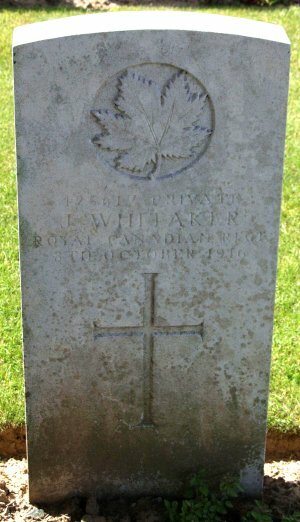 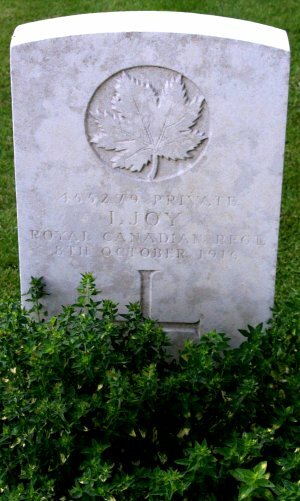 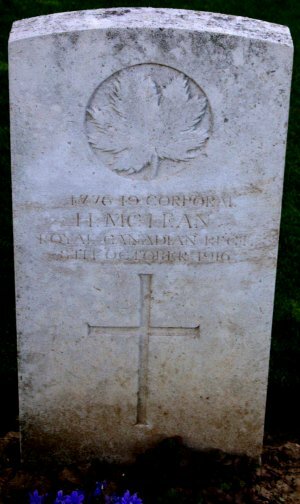 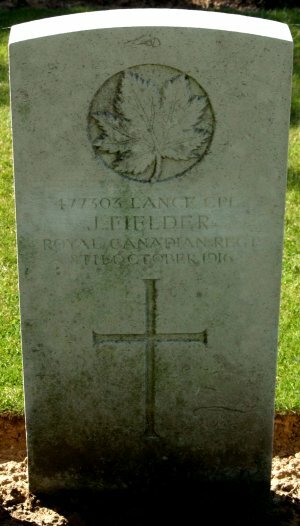 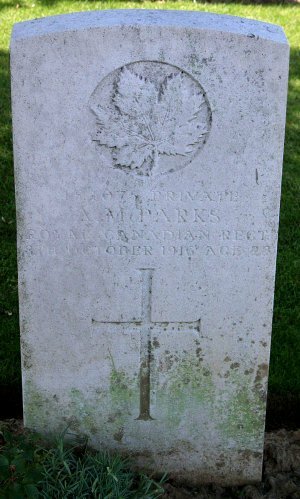 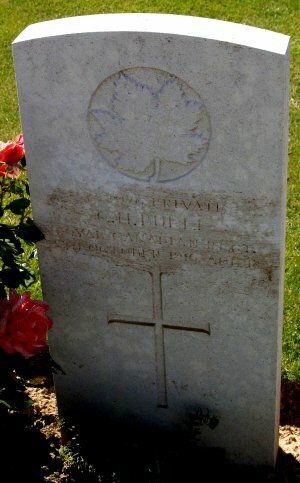 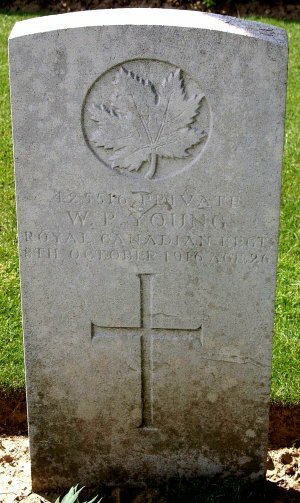 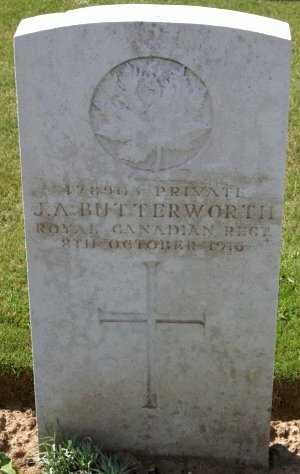 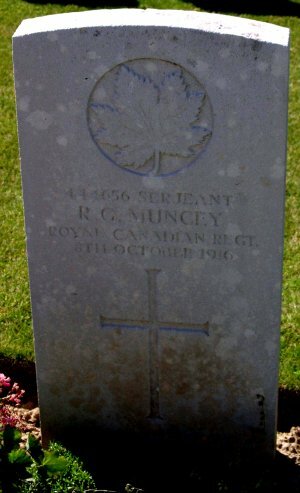 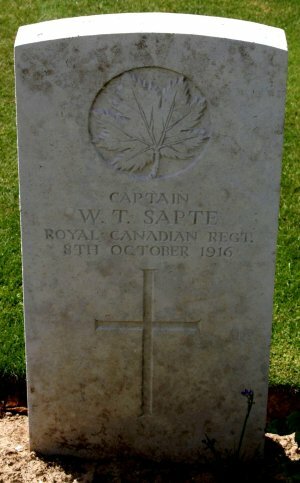 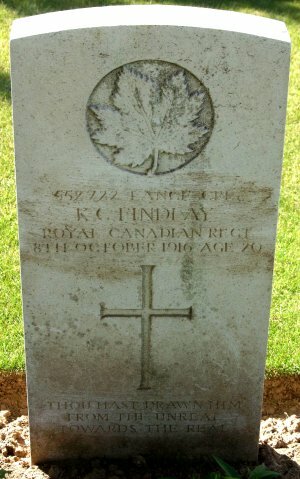 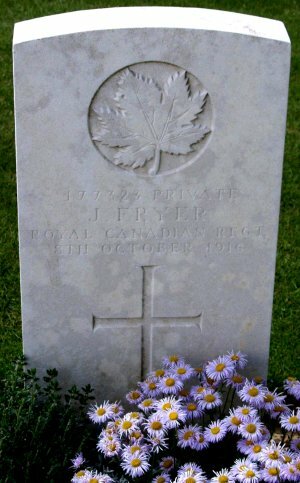 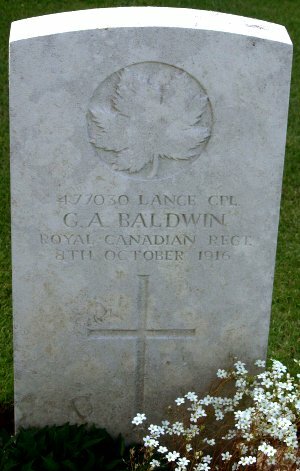 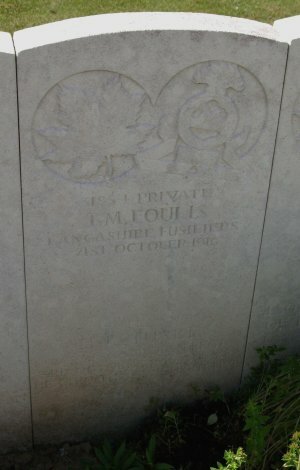 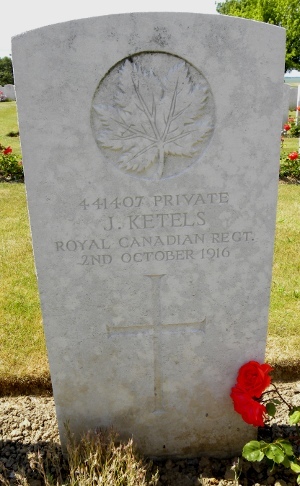 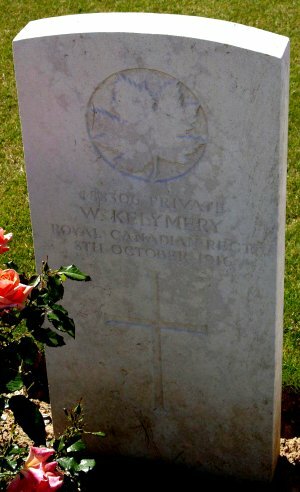 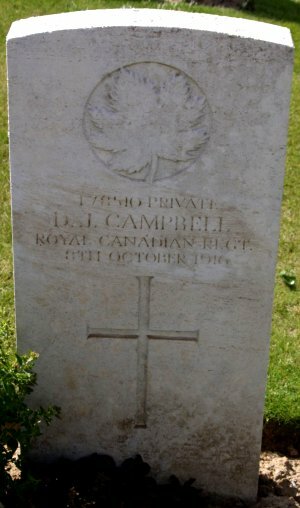 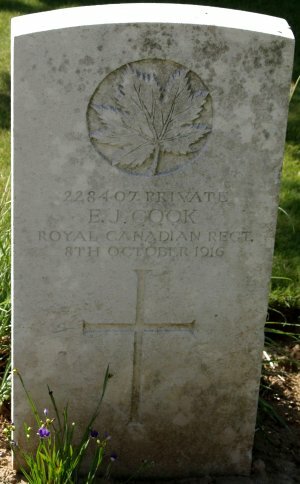 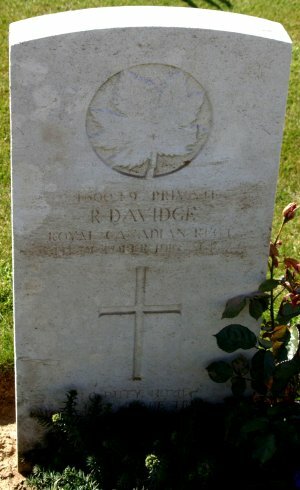 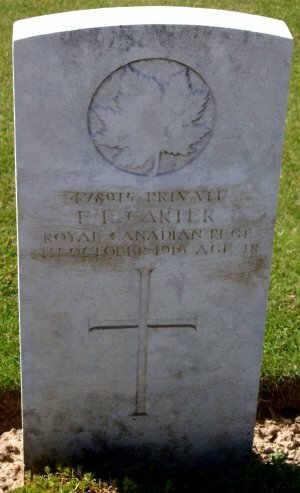 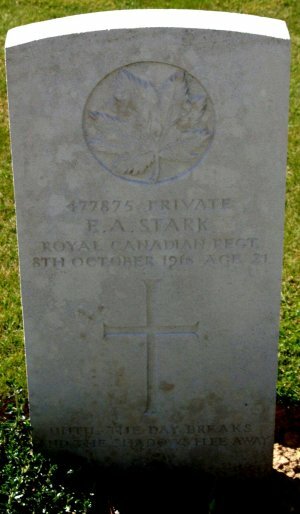 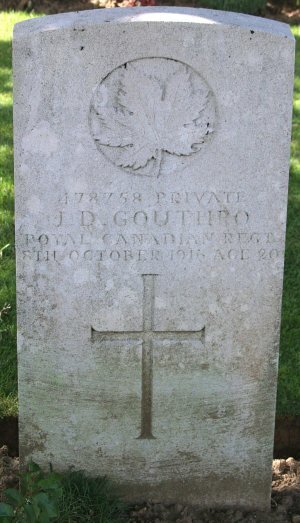 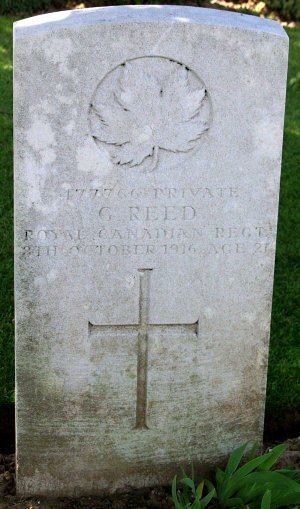 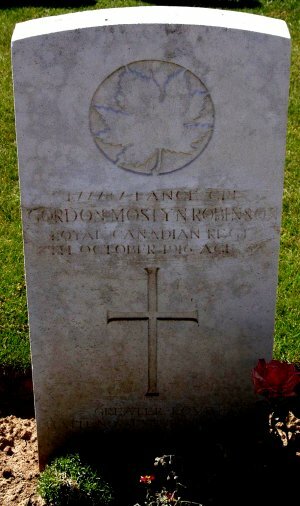 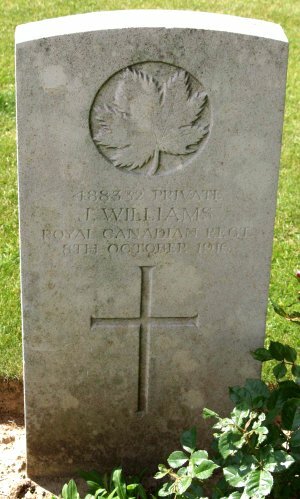 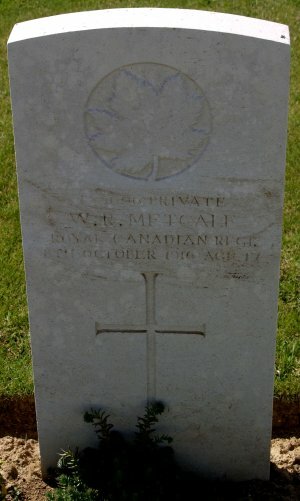 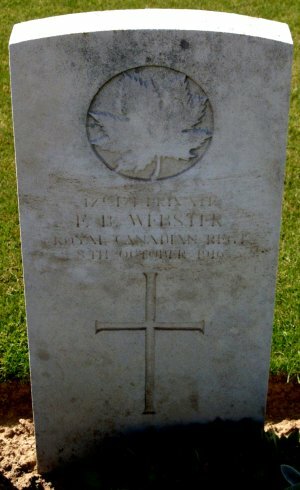 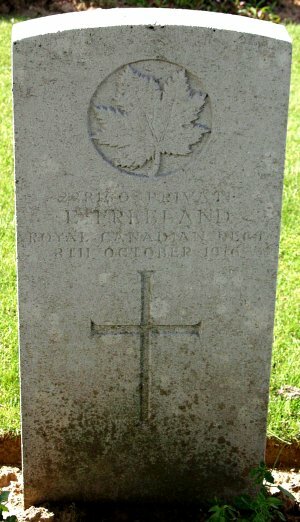 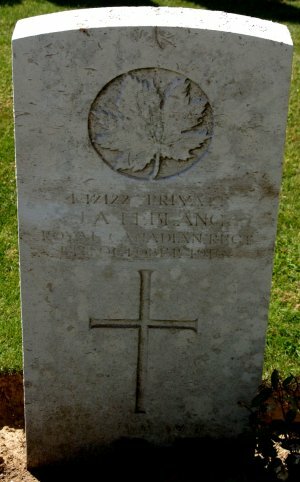 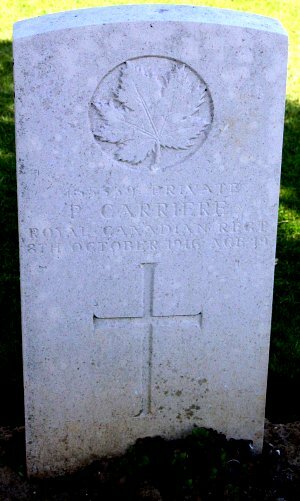 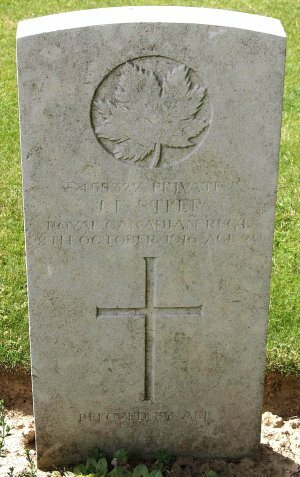 Royal Canadians buried at the Regina Trench Cemetery are listed below. 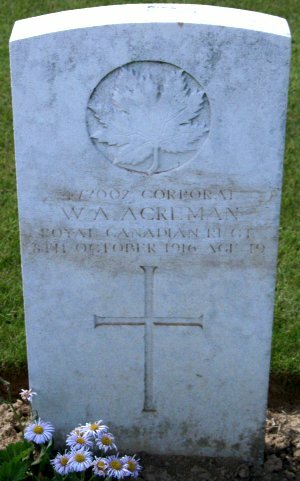 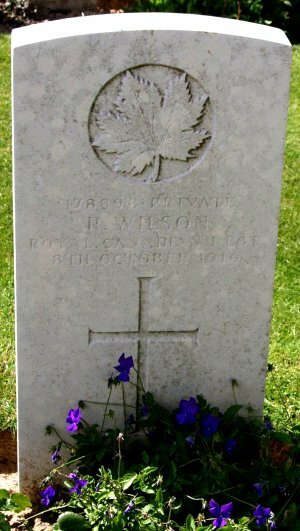 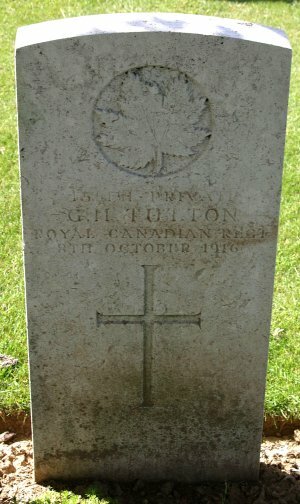 Photo by Avalon Eastman; a member of the Great War Forum. 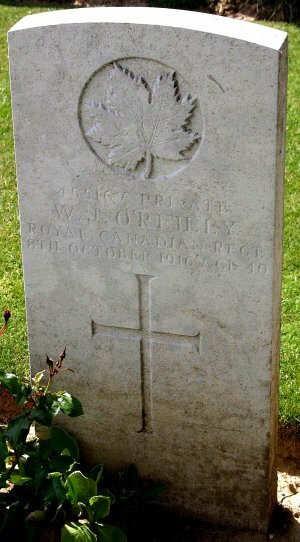 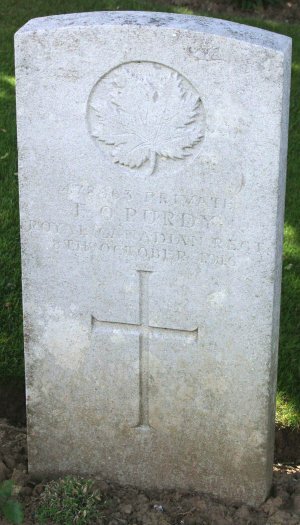 Photo by Robert Pike, a member of the Great War Forum.